Social Security Works! is a concise compilation of the history, configuration, and the measured success of our present Social Security system, along with a persuasive proposal for its expansion. Both Altman and Kingson served as staff advisors to the 1982 National Commission on Social Security Reform. Altman is a lawyer, the author of The Battle for Social Security, and chair of the Pension Rights Center. Kingson is a professor of social work at Syracuse University and co-author of several books dealing with the politics of Social Security. Thanks to the power of the media, it has become mainstream belief that Social Security is going broke; by the time the final baby boomers retire there won’t be much of anything left. There is also a trend suggesting that the members of our older population are “takers” and “fat-cat elders” who are sucking up all the present working force’s contributions. Social Security Works! knocks this, and the mainstream belief that Social Security is going broke, to its knees. Social Security is in fact an important stabilizer of the economy that can “help stop the collapse of the middle class, lessen the pressure squeezing families from all directions, and help end the upward redistribution of wealth that has resulted in perilous levels of inequality.” Therefore, there is a growing number of politicians and policy makers—including Altman and Kingson—who are calling for the expansion of our Social Security system. 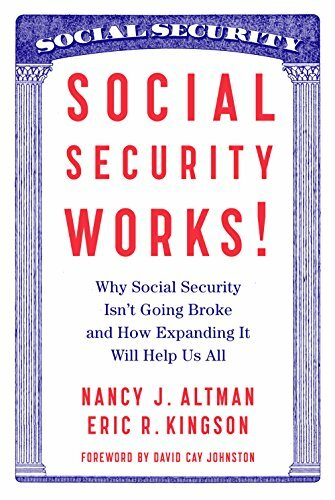 Altman and Kingson stress that Social Security is an earned benefit which is based on the hard work—it is not an “entitlement” or governmental handout. “Social Security is insurance, not welfare.” The $2.8 trillion surplus that is now present in the Social Security system is secure and if properly handled will continue to grow. Also paid benefits do not add a penny to the national debt. The challenges Social Security Works! discusses: the income insufficiency of today’s seniors, the retirement income crisis of our workers, insufficient recognition of caregivers, increased inequality which is eroding away the middle class. All can be addressed by the expansion of the Social Security system as laid out in the authors’ Social Security Works All Generations Plan at the end of the book. Social Security Works! is an important addition to books on current affairs and should be a mandatory read for all Americans.